Revealed: Flo 'The Scout's Official Fantasy Bundesliga Reviederby XI. The Revierderby is not only exciting football fans in Germany and the whole world over, it is also the number one subject of discussion among Official Fantasy Bundesliga insiders. While Matt 'The Expert' Howarth will be analysing and computing the number of corners, throw-ins and goals these two sides average, and James 'The Coach' Thorogood will no doubt be speculating about the gameplans Thomas Tuchel and Markus Weinzierl are likely to employ, I am the only one asking the pertinent question this weekend: what would my Fantasy Revierderby team look like? After careful consideration, here is what I think will be the best XI to accrue maximum Fantasy points. 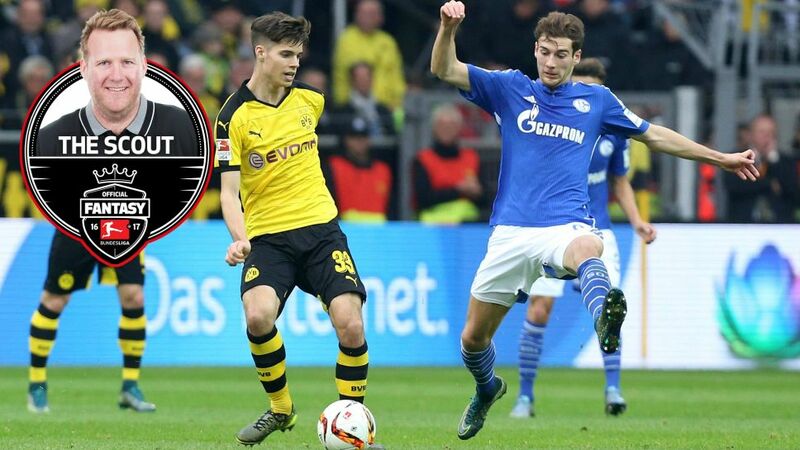 Goretzka is a skilful and potent midfielder, but at the same time he is strong in the tackle. That is an excellent combination for the Bundesliga, and for Official Fantasy Bundesliga. The USA international proved in Ingolstadt that he is the man for the important goals and he is already showing willingness to take on responsibility, which could make him a key figure in the derby too.